A unique fish like no other on the market, mackerel is an often underrated treat. Renowned for its green and black stripes on a skin which harbours tiny, untroublesome scales, flesh with meaty texture, and pungent flavour: British mackerel season is well on its way, with the migratory fish typically making their way to the south coast during spring and remaining until summer, before heading to warmer seas come autumn. As a result, it’s fortunate that the warm weather fish is so well suited to a number of light, ultimately simple, summer salads. 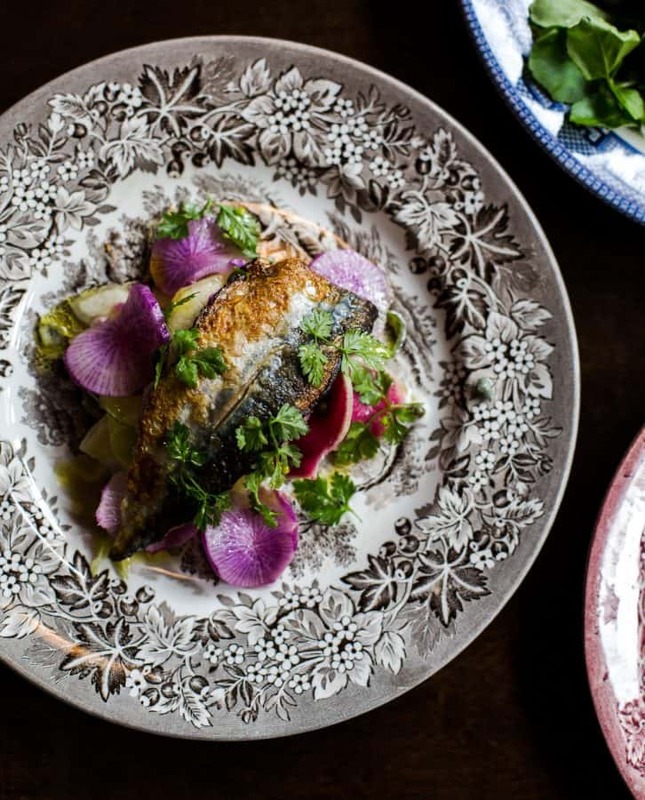 Take this recipe from The Cleveland Arms – a Paddington pub with a delightful European-inspired menu – for instance, which matches gently-cooked fillets with a kohlrabi, radish, onion and apple salad; finished with a fierce horseradish crème fraiche, against which the fish manages to hold its own. Splash a teaspoon of olive oil in the pan and when hot, add the fillets of mackerel and cook until the skin is crispy. Put the fresh horseradish in a bowl with a tsp of caster sugar and the crème fraiche. Mix together with a splash of cider vinegar. Set aside. Peel and slice the kohlrabi, purple radish, red onion and russet apple. Roughly scatter the capers and chervil over the salad. Then season it with olive oil and a squeeze of lemon juice. Mix together thoroughly and place on the plate. To serve: Put the fillets on top of the salad and place the fresh horseradish crème fraiche at the bottom of the plate. Further information on The Cleveland Arms can be found here.